Lawrence S. Bacow is the President of Harvard University. 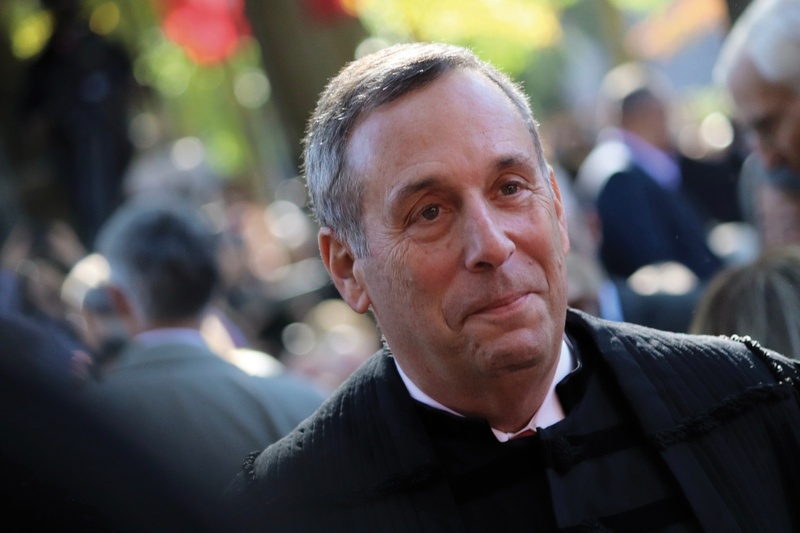 Lawrence S. Bacow is the 29th president of Harvard University. Last week, a celebration of the 30th anniversary of Harvard’s Malcolm Wiener Center for Social Policy was disrupted by student activists seeking to draw attention to divestment efforts. The event was held in the John F. Kennedy Jr. Forum, a space at the heart of the Kennedy School created to promote open discussion and debate. The Forum has been the site of many contentious conversations — and some confrontations — that have demonstrated the willingness of our community to welcome challenging viewpoints, even when they are a source of discomfort. To my knowledge, everyone ever invited to speak at the Forum — indeed, everyone who has been invited to speak at Harvard in recent memory — has been able to do so. That is no longer the case as of last Thursday. Graduate School of Education Dean Bridget Terry Long and I were slated to have a conversation about the role of higher education in expanding economic opportunity. Before we could begin, individuals came forward to sit on the stage, blocking the view of their fellow audience members with signs and chanting loudly over the program. They were invited, first by Kennedy School Dean Douglas W. Elmendorf and then by me, to continue their protest in a way that would not prevent others from participating. They refused to move, and they continued shouting. As a result, members of our community were deprived of the opportunity to engage fully in the work of listening to and learning from one another. The gathering had to be moved to another room that could accommodate only a fraction of the original audience in order for the program to continue. I have been president for 283 days. In that short span of time, at least half a dozen controversial issues have arisen on our campus, generating impassioned discussions — and even some spirited arguments and public protests. As I said when I spoke at Peking University in March, episodes of disagreement are signs of a healthy campus community. Harvard would be a very dull place if everyone agreed on everything. Even more importantly, this country exists as we know it today because good people have been willing to speak out against injustice and unfairness for centuries. Civil debate is essential to our democracy. So are dissent and protest. The heckler’s veto has no place at Harvard. When we shut down conversation, when we shut down debate, we shut down the opportunity to learn through reasoned discourse. It would be a shame if the state of our national public discourse, which has become so coarse, becomes the state of our campus discourse as well. We should strive to model the behavior we would hope to see in the rest of the world. Now is the time to ask ourselves: What kind of community do we want to be?